This article gives an overview of the Workflow feature and explains the main functionality. 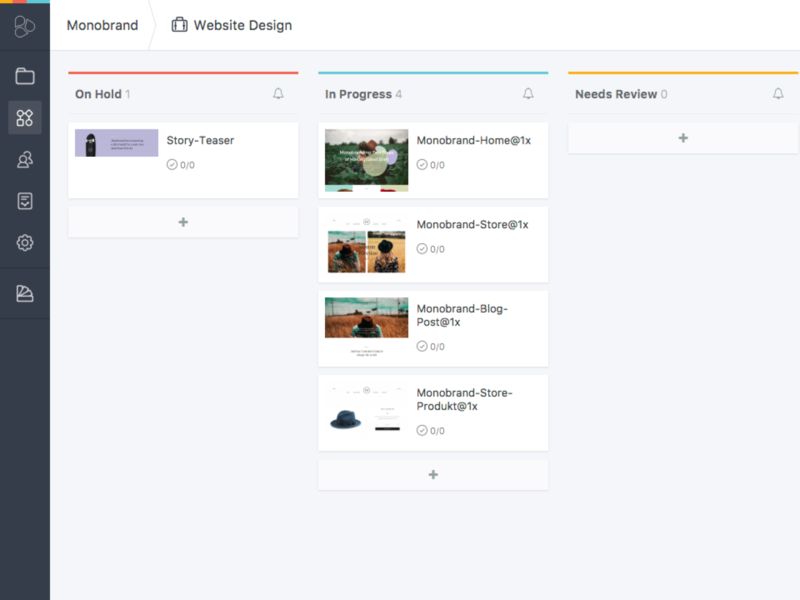 Workflow allows you to plan and organize your Workspace projects with a Kanban board. The board is structured in lanes (status) and cards, which help you to track the status of a project and its assets. Workflows are configurable and can be reused in other projects. Create a project in Frontify Workspace - if you haven't done so already. Once you are in your project, you can click the Workflow icon on the left hand side in the Powerbar. 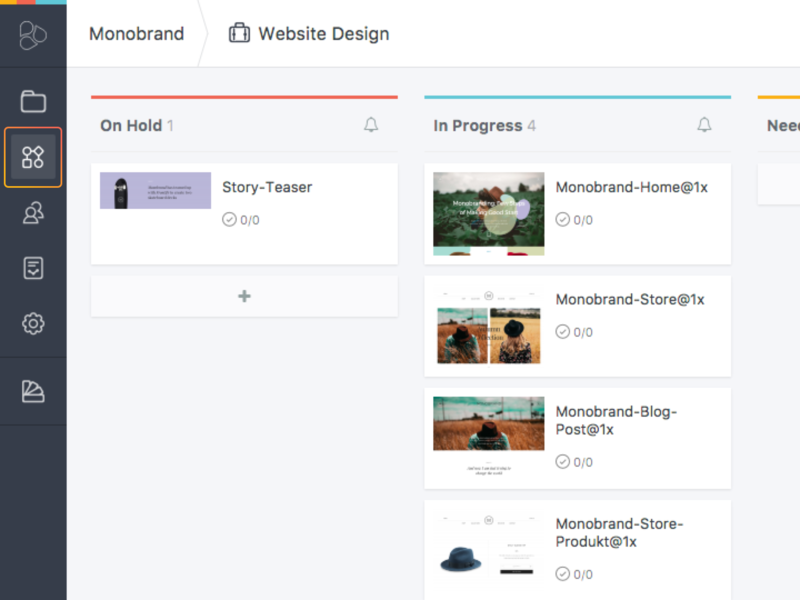 The Workflow board gives you an overview of the different assets in your project and their respective statuses. Is your board still empty? Only assets with assigned statuses will show up in your Workflow board, but there are many different ways to set the status of an asset. You have several options to set or change the status of an asset. Alternatively, you can create a blank card and upload an asset later on. Changing an asset's status is super easy - particularly in the Workflow board. Just drag and drop the cards between the different lanes and their statuses will automatically be changed accordingly. Although this is all you need to know to start planning and organizing your design projects, Workflow is much more powerful. You can assign tasks on assets, automatically be informed about status changes, require feedback from people that move cards and much more. Read 'How to get the most out of Workflow to organize your project even more efficiently.